[S133] 1900 Franklin Co., N.C. Census, pg 81a. [S522] The Daily Dispatch, 3 Jan 2012. [S522] The Daily Dispatch, 27 May 2012. [S522] The Daily Dispatch, 22 Feb 2006. [S986] The Herald-Sun, 6 May 2007. [S1461] Unknown author, Williams and Eakes Family Tree. Birth*: Mary Phelps was born circa 1845 at NC. Death*: Mary Phelps died circa 1885 at NC . Birth*: Mary Ann Phelps was born circa 1841 at NC. Death*: Mary Ann Phelps died circa 1872 at Franklin Co., NC. [S362] Dr. Stephen E. Jr. Bradley, Franklin Co., N.C. Marriage Bonds 1779-1868, pg 43. Birth*: Judy Phillips was born circa 1800 at NC. Death*: Judy Phillips died before 1880 at Alexander Co., NC. [S1455] Greensboro Daily News, 16 March 1969. 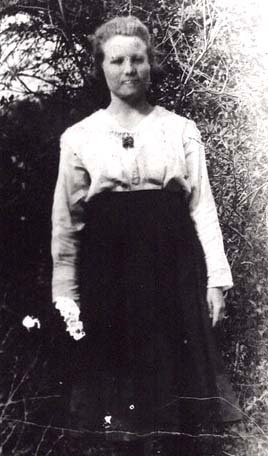 [S1424] Hilda Faulkner Garrett, "Faulkner, Albert Green Genealogy", Ancestral File. 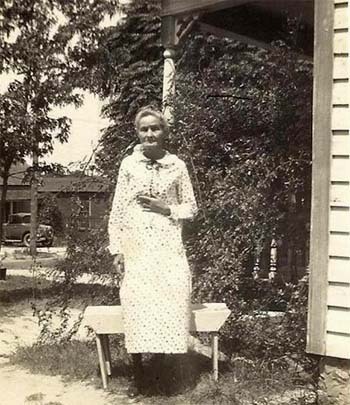 Birth*: Helen Grace Pierce was born on 16 October 1911 at Franklin Co., NC. Marriage*: She married Clyde Thomas Mosley, son of Alexander M. Mosley and Melissa Pernell, circa 1935. Death*: Helen Grace Pierce died on 7 December 2000 at Louisburg, Franklin Co., NC, at age 89 .